Copper kitchen sinks are hand hammered in a numerous sizes and bowl configurations. They can be single, double or triple compartment sinks in drop-in or undermount version. Farmhouse sinks usually come with an apron. It can be simple hammered or decorated with elaborated design. 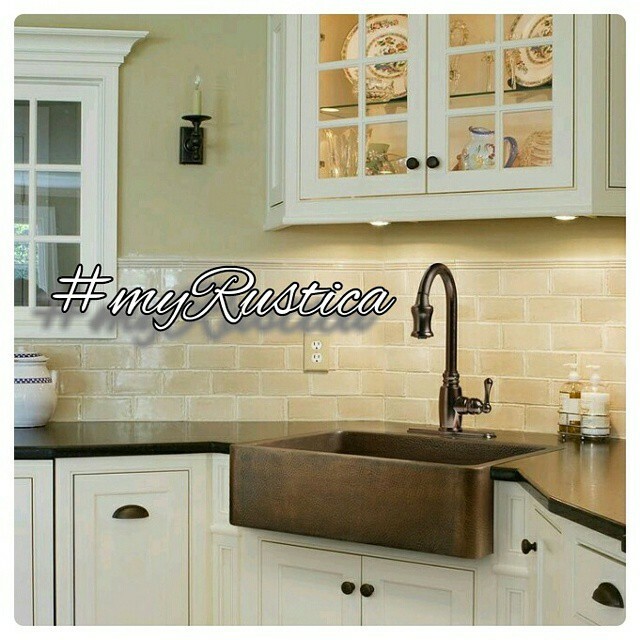 Buy any copper kitchen sink style with patina color of choice and one of four sizes. Custom orders are welcome. Delivery time of rustic kitchen furnishings from Santa Clara del Cobre production facility to the US address is estimated for about four weeks from the payment date.